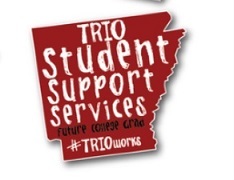 TRiO Student Support Services (SSS) is a federally funded TRiO program designed to provide free academic support to college students. 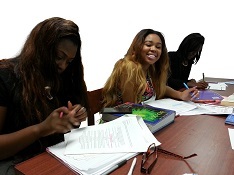 The mission of the TRiO Student Support Services Program is to increase the retention and graduation rates of first-generation and low–income students, as well as students with disabilities who are pursuing bachelor’s degrees at the University of Arkansas at Pine Bluff. Through a grant competition, funds are awarded to institutions of higher education to provide opportunities for academic development, to assist students with their basic college requirements, and to motivate students toward the successful completion of their postsecondary education. This project is 100% federally funded at $436,177. *Assistance in other courses is available by request. 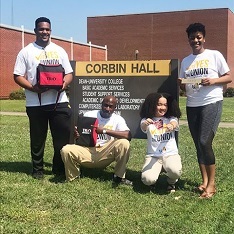 In addition to providing free academic support, SSS offers academic advisement, graduate school tours, financial aid information, peer mentoring, and a variety of enrichment workshops, cultural events and trips to students at the University of Arkansas at Pine Bluff. 2. A copy of your financial-aid award letter to Corbin Hall room 207. If you meet either of our qualifying criterion, you may be eligible for acceptance into our program and have access to our facilities, programs, and services. Low-Income: You are receiving financial aid such as Pell Grant, Student Loan, or Vocational Rehabilitation. You must also meet the federal government low-income requirements. First Generation: Neither of your parents received a four-year college degree. Disabled: You must have a documented physical or learning disability.